I recently acquired a pair of Scarpa Vapour Velcro rock shoes from outdoorkit.co.uk to test, and here are my thoughts on them. 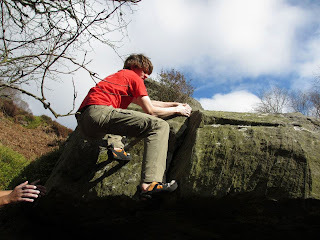 My previous rock shoes were Scarpa Vapour Laces which I really liked. The velcros are slightly more down turned than the laces and with virbram XS Grip 2 rubber, instead of XS Edge. XS Grip 2 is supposed to be stickier than XS Edge, but not as stiff.Outdoorkit.co.uk have a good range of Scarpa Footwear which can be viewed here. I generally dislike velcro shoes. They never seem to fit right so I prefer laces for extra fitting precision they offer. I have managed to test these out quite a bit now; on sticky Northumberland sandstone, super polished inner city Dolerite bouldering and steep indoor climbing. I'm glad to report that they are very good indeed. Scarpa shoes generally fit me very well so if your a Scarpa person, like myself, I can recommend giving them a go. Ill give you a run down list of what I think of them. Comfort: Yes they are comfortable. 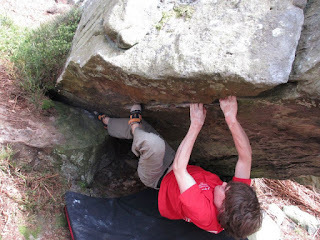 I got them to fit quite tight but I dont have to remove them straight after climbing a route, and can easily walk round from the top of the crag or between problems. Hooking: A major problem I have with shoes, especially the velcro variety, is that they slip off when I try and heel hook in them. I'm very glad to say that I have finally found a shoe that sticks to my heels as well as it sticks to the rock.They also have some rubber over the toe which aids in toe hooking. Rubber: The new vibram XS Grip 2 rubber does seem very good at sticking to everything, even polished little nubins that its all too easy to just gloss off. Precision/Feel: I think these pretty much describe the same thing. I can feel holds really well through my shoes, allowing me to use the best part of said hold easily. 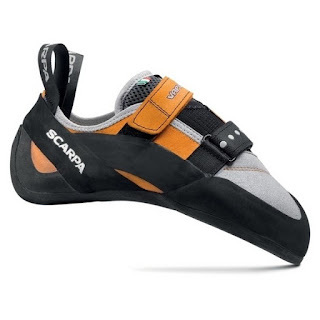 Sizing: In my experience Scarpa rock shoes sizes are the same as street shoes. If you take a 46 street shoes, like me, you will want to drop a couple of sizes for a rock shoes. 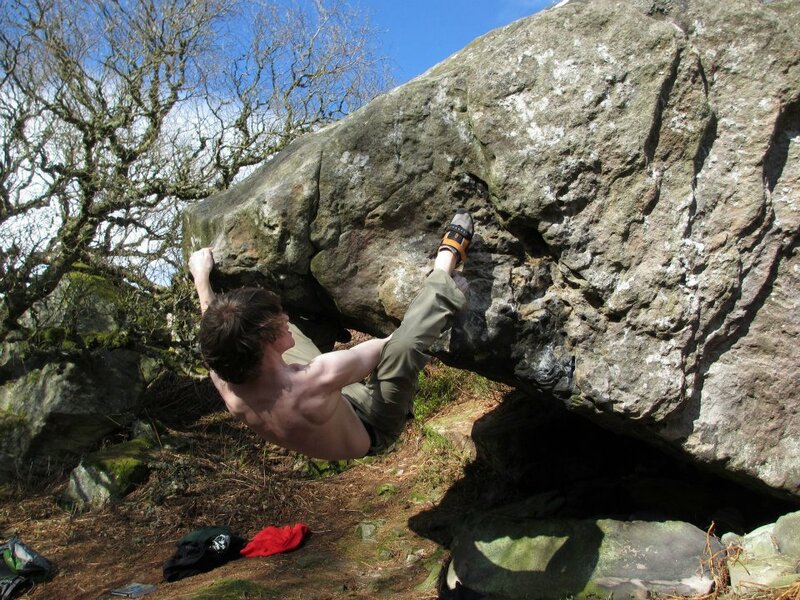 I therefore go for a 43 in rock shoes. Edging/Smearing: These shoes seem to edge just about as well as they smear. The sticky rubber feels secure on smears and the slightly down turned profile gives the shoe some nice stiffness on edges. Durability: I haven't had these long enough to really say how durable they are but my vapour laces have lasted well. I have also used the original XS Grip on my instincts and that has lasted well so I have high hopes for XS Grip 2. Overall: I really like these. They are much better than I was expecting them to be. I give these 1 thumb up.